Southern Oregon is teaming with dynamic, entrepreneurial businesses with incredible career opportunities. Thousands of high school students in our region enter the workforce every year and have very little knowledge of the exciting career pathways right her in their own back yard. Careers in Gear is a one-day expo that will bring over 2000 high school students from 11 high schools together in one place to explore the incredible variety of careers options in Southern Oregon and give them some tools to encourage their pursuit of vocational education in our region. Students first meet with local professionals who prepare them for the experience of the Exhibit Hall floor. Students review soft skills, and discuss the top characteristics employers are looking for. Students then move through the Exhibit Hall and outdoor exhibits as well as our Advanced Manufacturing Learning Lab, meeting a wide variety of employees from the top industry sectors in our region, alongside career military personnel, and faculty from Community Colleges, Universities and technical schools – all showcasing multiple pathways to exciting careers. Students are engaged before, during, and after the expo through curriculum given at their respective high schools in order to encourage continued pursuit of career options in Southern Oregon. 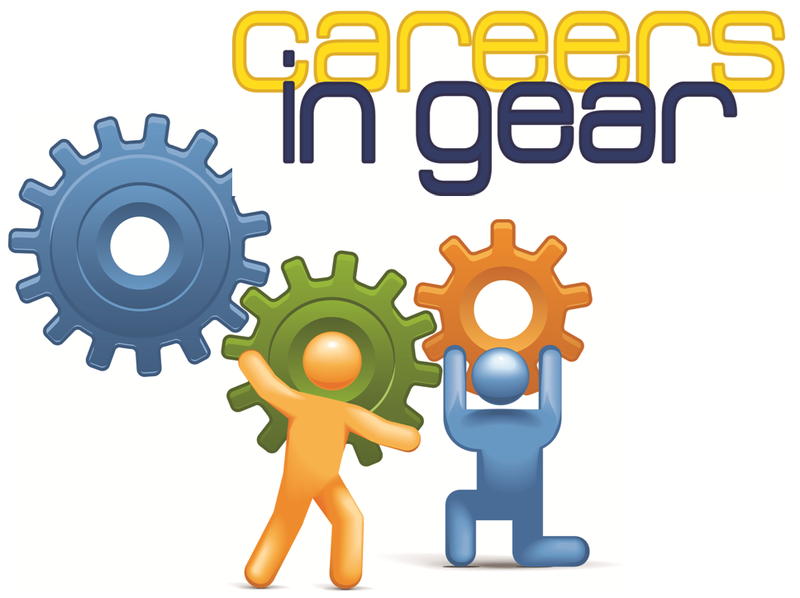 Careers in Gear is an excellent way for schools in incorporate a Career Related Learning Experience into their students’ portfolios. Registration begins in the fall of each school year, and is on a first-come-first-served basis. Schools agree to provide a CLRE activity before and after student participation at Careers in Gear to create a holistic learning experience. Careers in Gear targets 9th grade students in Southern Oregon as they move to choosing vocational pathways in their high school education. Businesses: CLICK HERE TO REGISTER AS AN EXHIBITOR OR SPONSOR! Business Professionals: CLICK HERE TO REGISTER AS A TABLE TALK HOST! Get involved with our local workforce efforts to grow our own, and keep them in our region! Your next generation of employees awaits! For more information, contact Barb Smith, Careers in Gear Event Manager, Junior Achievement, (971) 255-4944 or BSmith@ja-pdx.org.